What possibility do you stand for? What possibility do you seek? What possibility do you resist? These three possibilities are exactly the same AND the Point of You. to lead the business and life you most desire, and to make the difference you are driven to make. 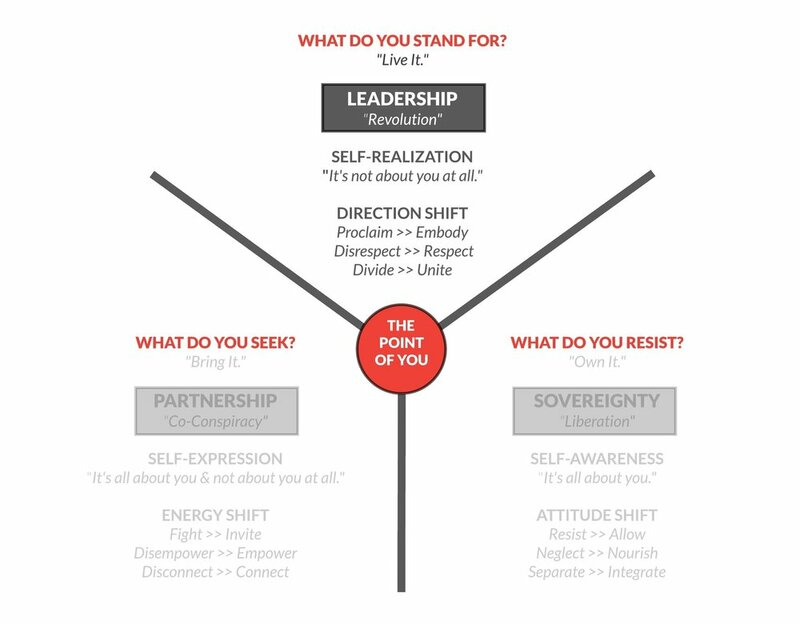 Here's a visual map for your journey of undiminishing, using the Point of You. 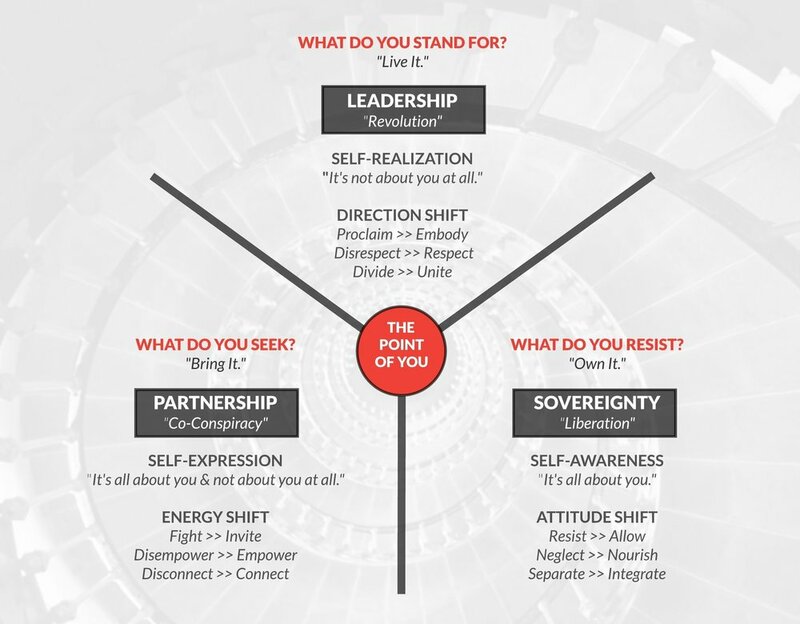 At the center is the POINT OF YOU — your unique "how" at every step of your journey. STEP 1 - SELF-AWARENESS: the Point of You reveals the possibility you unknowingly resist and deny your self. It gives you SELF-AWARENESS, creating an ATTITUDE SHIFT, that now allows your self this possibility and "liberates" your SOVEREIGNTY (because you are no longer dependent on others for this possibility). STEP 2 - SELF-EXPRESSION: the Point of You reveals the possibility you have been seeking from others (because you’ve been denying yourself). 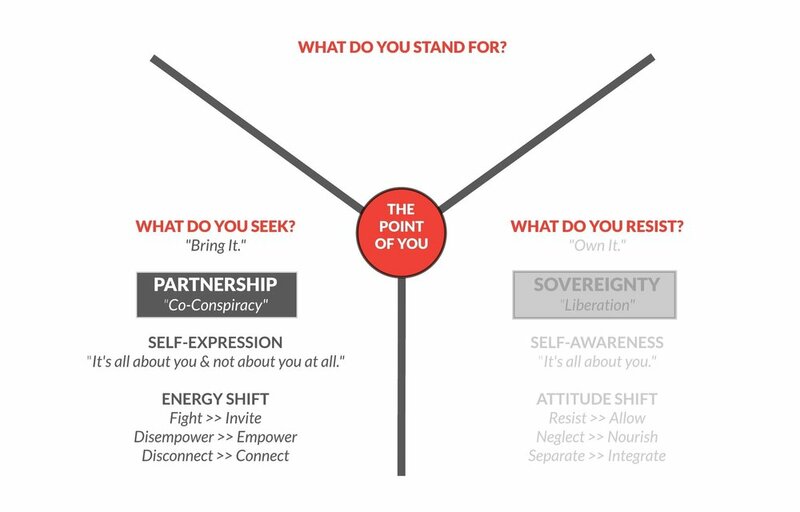 With reclaimed sovereignty, your Point of You empowers your SELF-EXPRESSION, creating an ENERGY SHIFT that now invites others to "co-conspire" with you to manifest this possibility, in PARTNERSHIP. 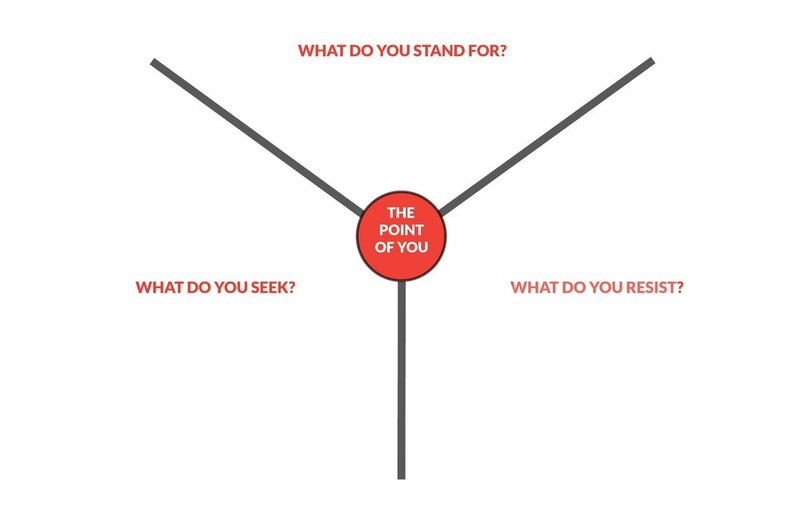 STEP 3 - SELF-REALIZATION: the Point of You reveals the possibility you stand for. 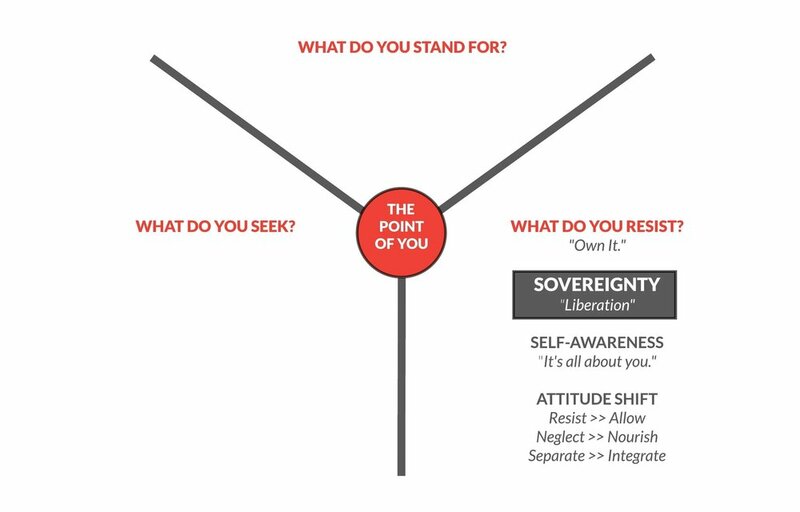 With sovereign partnerships, the Point of You you guides you to SELF-REALIZATION, creating a DIRECTION SHIFT in which you embody, live and model the possibility you stand for with "rEVOLutionary" LEADERSHIP. Your Journey of Undiminishing: Each time you experience struggle or conflict, you recognize that you are experiencing your own diminished state of being and that you're missing the Point. You use the Point of You to allow your self this possibility, to invite others to join you in this possibility and to keep living and expanding this possibility ... more and more and more. Copyright © 2018 Revolution Business & Life Design. All rights reserved.